This project will replace 90km (56 miles) of the 105km (65 miles) Southampton to London pipeline, starting at Boorley Green, Hampshire and ending at West London Terminal storage facility in Hounslow. The project will not replace the first 14.5km (9 miles) of the pipeline between Hamble and Boorley Green as this section of the pipeline was replaced in 2002. This underground pipeline has operated for several decades. 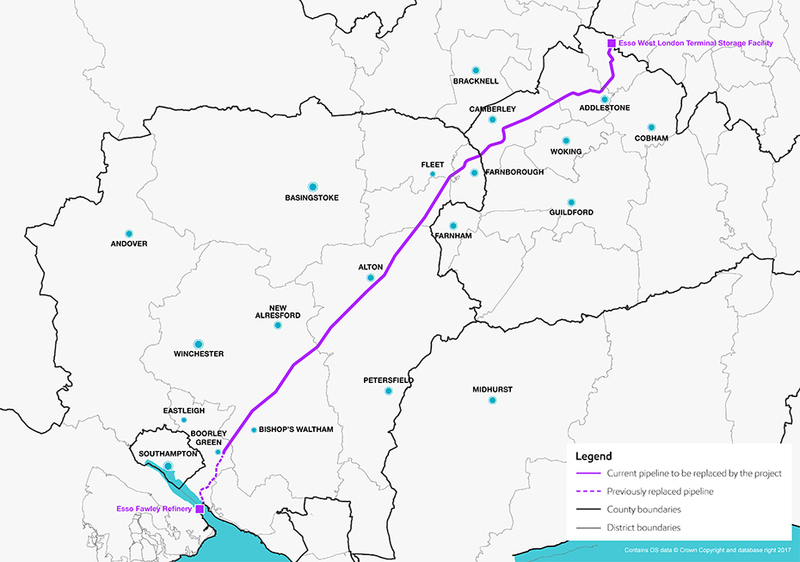 The map below shows the route of the current pipeline. This map does not reflect the final route alignment of the replacement pipeline.